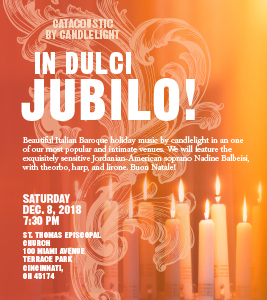 Beautiful Italian Baroque holiday music by candlelight in an one of our most popular and intimate venues. We will feature the exquisitely sensitive Jordanian-American soprano Nadine Balbeisi, with theorbo, harp, and lirone. Buon Natale!